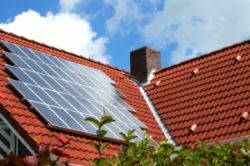 Solar power panels are the key component of all home solar power systems. If you want to generate your own solar electricity for your home, you'll need solar panels. But before we get too far along, it's important to understand the difference between a solar panel, a solar module, and a solar collector. 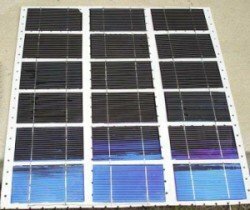 What's the difference between a solar panel and a solar module? Technically, there is a difference, but even within the solar industry there isn't a clear cut answer. For all practical purposes, a solar panel is the same as a solar module. What's the difference between a solar panel and a solar collector? A solar panel is used to generate electricity whereas a solar collector is used to generate heat. A solar panel's function is to convert the sunlight that hits it into electricity. It does this through a process known as the photovoltaic effect. Solar power panels are made up of groups of solar cells that are joined together inside a frame. An individual solar cell can convert sunlight into electricity, but it can only produce about 1-2 watts (W) of power. In order to generate useful amounts of solar power electricity for your home, several solar cells need to be joined together to form a solar panel. Being able to join solar cells together to get more power is one of the key benefits of a solar cell. This modularity is great because if you need more power, you just need to add another solar cell. This characteristic carries over to solar energy panels as well. You can combine multiple solar panels in order to generate more power. When you combine multiple solar panels together they form a solar array. Modularity is great for homeowners because it means you can grow your home solar power systems over time. This is important because if you have a limited budget (and who doesn't, right? 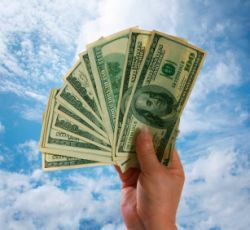 ), you can start off with a small system and purchase additional solar panels for the home at a future date. Monocrystalline solar cells are made from a single crystal rod of silicon. This silicon rod is sliced into thin wafers to form the solar cell. Polycrystalline solar cells are made from multiple silicon crystals. These solar cells are formed when molten silicon is poured into a mold to form an ingot. Once cooled, the ingot of silicon is sliced into wafers to form the solar cell. Thin-film solar cells are usually made out of amorphous-silicon alloys that are deposited in thin layers onto a glass or metal backing material called a substrate. 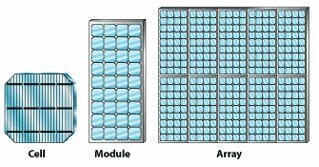 Unlike monocrystalline and polycrystalline modules, many thin-film modules are flexible and as a result can be used in different applications. The first measurement that is used to describe home solar panels is rated power at STC. This is simply a measurement of how much power, measured in watts (W), that the solar panel will generate under a set of conditions called Standard Test Conditions (STC). It is important that the power output of different solar panels is measured at STC in order to allow an accurate and fair comparison of the panels. In the field, the amount of sunlight reaching the solar panels will vary depending on different factors such as the Sun's angle and the amount of clouds in the sky. In addition, the hotter the solar panel gets, the less power it will generate. Rated power per square foot measures the amount of power the solar panel generates at STC per square foot of the solar panel area. This is also known as power density. This measurement is useful because the higher its value, the less space you will need for generating a certain amount of energy. Solar panel efficiency is simply the ratio of output power to input power. For example, if the solar panel receives 1,000 watts per square meter of sunlight, and it produces 100 watts of output power, it has an efficiency of 10%. Most solar panels will have an efficiency between 10.3% and 19.3%. Usually, the higher the efficiency the more expensive the solar panel will be. Similar to rated power per square foot, the higher the efficiency the more power will be generated in a given area. For information about applications that use solar power panels, check out our page on Solar Electricity.